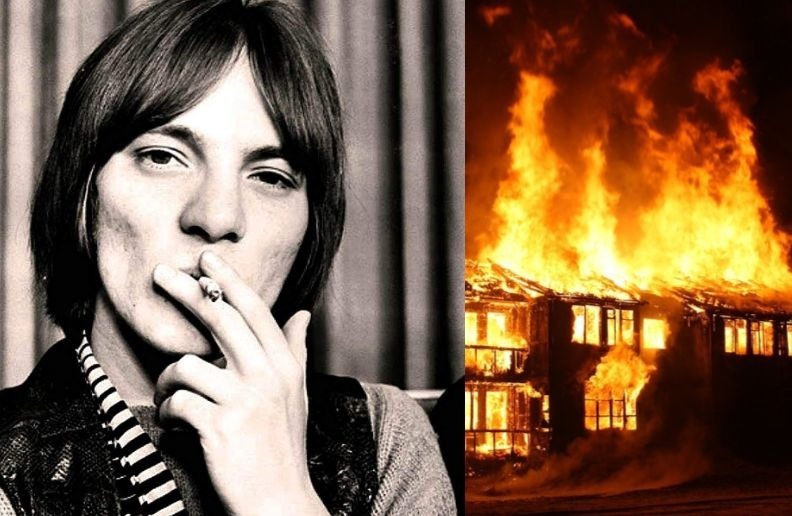 Steve Marriott was one of the greatest rock and roll voices, the legendary singer that was the frontman of Small Faces and Humble Pie gave us amazing interpretations that are amazing to hear until this day. But unfortunately, his life had a tragic ending in 1991. On Friday 19 April 1991, Marriott and his third wife was Toni Poulton flew home from the United States, where Marriott had recorded songs for a future album with Frampton to England. During the flight, according to Poulton, Marriott was drinking heavily, was in a foul mood, and the two argued constantly. After arriving in the UK, a mutual friend met them and they all went for dinner to one of Marriott’s favourite restaurants, The Straw Hat in Sawbridgeworth, where he consumed more alcohol. After dinner, they returned to their friend’s house and decided to stay overnight, since it was late, but upstairs in bed, Marriott and Poulton continued to argue. Poulton finally fell asleep and later woke to discover that Marriott had taken a taxi to his home in the nearby village of Arkesden. “It was a tough fight getting upstairs. We searched the bedroom areas and it was very hot, we knew immediately that no-one could have survived the fire. We began to feel around the walls and discovered him lying on the floor between the bed and the wall. I would say he had been in bed and tried to escape. As soon as I saw the body clearly I knew who it was. I used to be a fan, it’s difficult to put my feelings into words. It is believed that the most likely cause of the fire was that soon after arriving home, jet-lagged and tired, in the early hours, Marriott had lit a cigarette while in bed and almost immediately fallen into a deep sleep. Since Marriott was found lying on the floor between the bed and wall, investigators concluded that he tried unsuccessfully to escape after being awakened by the blaze. Disoriented and confused after inhaling large amounts of thick smoke, Marriott had turned left instead of right towards the bedroom door and safety. He had been unable to rectify his mistake before being overcome with smoke. At the inquest, a verdict of accidental death by smoke inhalation was recorded. Marriott’s blood was found to contain quantities of Valium (taken earlier for flight nerves), alcohol and cocaine. The Small Faces song “All or Nothing” was played as the requiem at Marriott’s funeral held on 30 April 1991, at the Harlow crematorium. Amongst the mourners, noted attendees included ex-Small Faces drummer Kenney Jones, as well as Peter Frampton, Joe Brown, PP Arnold, Terence Stamp, Jerry Shirley and Greg Ridley. Among those who sent wreaths were David Gilmour (of Pink Floyd) and Rod Stewart and his then-wife Rachel Hunter. Nothing was heard from ex-Small Faces members Ian McLagan or Ronnie Lane.